Ooops, somebody jumped the gun. EA’s reveal of DICE’s eagerly anticipated entry into the crazy popular Star Wars: Battlefront franchise is scheduled for today, 6:30pm GMT. Check below for details and luscious, if what suspiciously bullshotted, yet gorgeous screens. 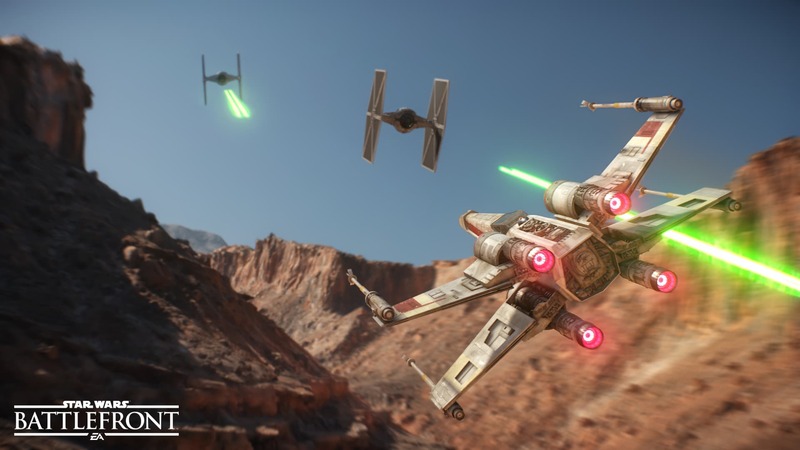 “Battlefront” will focus on frenzied shoot-outs between up to 40 players portraying Rebel Alliance and Galactic Empire forces. 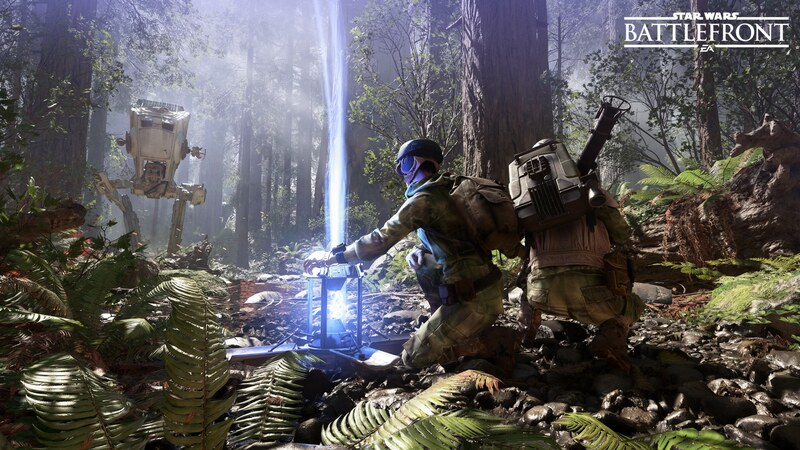 In a demonstration of the game’s multiplayer mode, a team of jetpack-equipped rebels were shown carving their way through the woodsy Endor while Stormtroopers charged at them on foot, on speeders and within walkers, including a hulking AT-AT war machine. 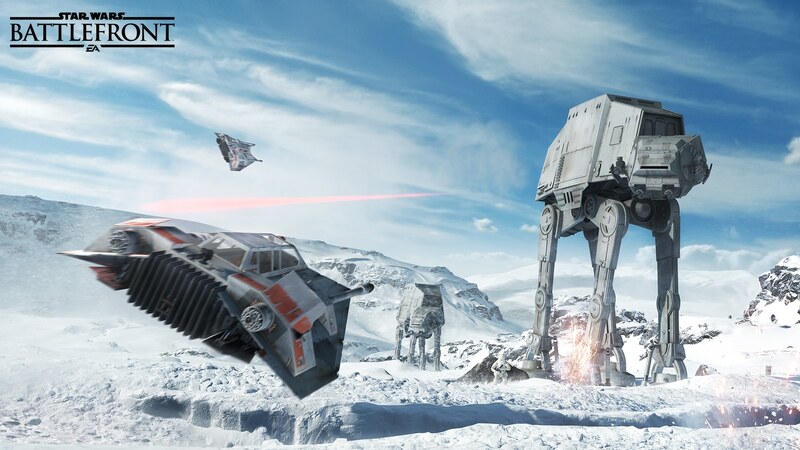 Other locales teased in game footage included the snowy Hoth, sandy Tatooine and gooey Sullust, a lava-spewing planet referenced in 1983’s “Return of the Jedi,” as well as many “Star Wars” games and novels, but rarely ever seen. 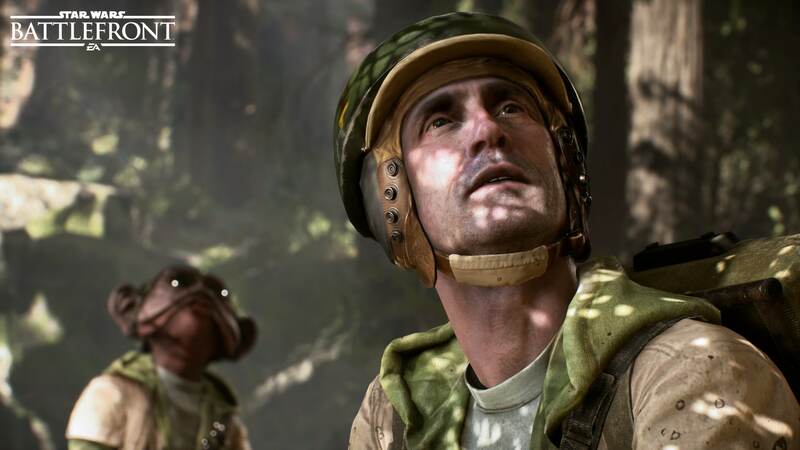 “Battlefront” won’t solely be centered on expendable ground troops. 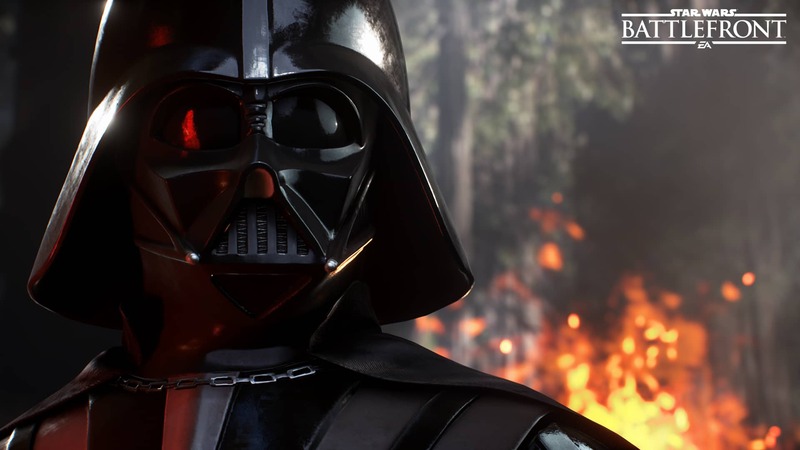 The game will reward sharpshooters with the ability to embody such iconic characters as bounty hunter Boba Fett and Sith baddie Darth Vader on the battlefield. 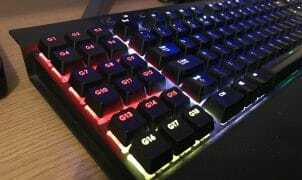 The action will also take to the skies with players engaging in dogfights with TIE Fighters, X-wings and the Millennium Falcon, though the developers were coy about how battles would alternate between ground and air combat. 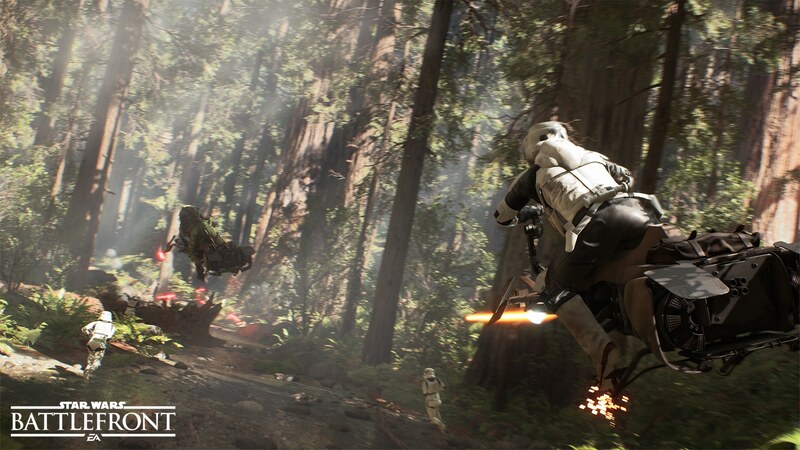 “Battlefront” will also include a free downloadable level available two weeks before “Star Wars: The Force Awakens” opens in theaters Dec. 18. It’s set on Jakku, the battle-scarred desert planet glimpsed in “Force Awakens” teasers. The expansion, dubbed “Battle of Jakku,” will explore the moment following “Return of the Jedi” when the New Republic confronted Imperial holdouts on the previously unseen Outer Rim enclave.